I am very grateful to Lillian Brooke, a direct descendant of Joseph Brooke, for providing the following wonderful piece of history and it is reproduced as provided with the addition of links to other pages in this set. Difficulties with reading the original text are noted in the bottom line. All words and characters in square brackets  have been added by the webmaster. The following information was given to Emma F. Brooke[**] by her uncle, George Swindells, at his residence, Pott Hall, [Pott] Shrigley in April 1885. Francis Swindells [I]of Disley interred in Disley churchyard May 18th 1743 and Susanna, his wife who died April 6th 1773. (These were the great grandparents of Martin Swindells of Pott Hall, Shrigley). Martin Swindells of Disley, interred in Disley Churchyard Feb. 18 1792 was a farmer and resided at Disley Hall. He had property in Macclesfield and having sold Disley Hall, went to Macclesfield to reside there, where he died. His wife, Anne Swindells married again and her new husband destroyed the title deeds of the Macclesfield property and appropriated it. (It would appear that Anne was buried at Disley in the grave of her first husband Martin). Francis Swindells [II], son of the above mentioned Martin Swindells of Disley, ran away from home when he was 16 in 1779 owing to the severity with which his father had treated him. After some exciting adventures he reached London and took service as a groom to a gentleman. On one occasion as he was taking his master’s family by night in a coach over Hounslow Heath, he was attacked by a highwayman. By that time he had risen to be coachman, but he was riding as a Post-Boy, because at that time the coachman did sit on the box, nor drive as done now. But regardless of the threats of the robbers and of the fact that they fired at him, he rode furious on and brought the family safely within the gates of his master’s grounds. He married one of the servants of the house, of the name of Litton, and having saved money, returned to his native country. He and his brother came into Stockport together to settle there and it was said of them that they were the two finest looking men who had ever come to Stockport. There he began life again as a cotton manufacturer and went on successfully for some time. Martin Swindells [I] (of Pott Hall) was the son of Francis. When quite young he was sent to his grandparents at Macclesfield and remained with them until he was 13 or 14 years old. Martin was very fond of music, and one day a regiment of soldiers passed through the town with a brass band, he followed them all the way to Stockport and enlisted as a Drummer boy. But he was found by his parents and was bought off or got off somehow. He then went to live with them and helped his father in the cotton mill. But desiring to master every process of cotton manufacture, he left his father’s mill thinking that he could be spared very well, and he entered another mill as a “hand” or ordinary worker, so as to learn every part of the spinning thoroughly. Here he became engaged to Hannah Shepley who was one of the workers in the mill. The Shepley family had rather come down in the world. For Hannah Shepley’s father had been the owner of a house and large stables and many horses at Taxal and had the carrying trade over the Buxton and Derbyshire Hills in his hands. There were no roads but his pack horses carried the merchants’ goods over the hills by what were called “bridle paths”. When the wages were paid, they had not a penny left and they locked themselves up in their house fearing that the bailiff would come and take the father for debt. The old man was in hiding and Martin and his mother were together. There was not a scrap of food in the house, but Martin’s mother would not let him go out to purchase any. “Are we to starve?” asked Martin. “Yes” said the mother, “rather than eat what we are not sure we can pay for”. Then they sat and waited. Presently a knock came on the door; they asked who was there, and a voice inquired if Martin was within. Then Martin went out & found a friend – a merchant named “Waterhouse”. This man handed him five one pound notes. “I’ve been thinking you may be in want of money”, said he, “and I have brought you 5 pounds. Take it and I know that, if ever you are able to pay me, you will do so. If not, it does not matter”. At first Martin refused to accept the money on the ground that he could not see his way to repaying it. But being pressed by his friend he finally took it and went out to buy bread. After this Martin again went to a mill and took work as a spinner; but being still determined to master every process, he gave up working as a spinner and took the position of a carder, although the wages were lower, being only one guinea a week. The name of the mill owner was Smith. While working at this mill Martin married. There is [or was at the time these notes were taken down] a chair still in existence amongst some members of the Swindells family, which he bought at this season of difficulty and of being down in the world. Gradually he rose to be manager of Mr. Smith’s mill and under his management Mr. Smith became a wealthy man. Martin left Mr. Smith to go into partnership with Thomas Fernley of Stockport. The two partners would appear to have heard something of a cotton mill in a village called Bollington. They drove into the village by way of “Long Lane“, “Cat-ladder” & “Beeston” to see the Clough Mill. They took the mill [rented it] and Martin and his wife Hannah came and lived at the Clough in a pleasant house, the garden of which was hedged off from the road by a broad stream of swiftly flowing water, and a low stone wall. Afterwards the business of the partners so much increased that they built a large mill in Manchester. By this time John Fernley had been taken in as a third partner. While living at the Clough, Martin’s youngest son George (afterwards George Swindells of Pott Hall) remembered seeing his grandfather, old Francis Swindells; Martin supported him and paid his debts as soon as he was able to do so. Old Francis was still a tall fine looking man and he wore a wig and gaiters. When the mill in Manchester was built, Martin went to live there; he had a beautiful house in Oxford Road on the site, which is now occupied by Owens College. Here he had large gardens, conservatories, a poultry yard and a fishpond. 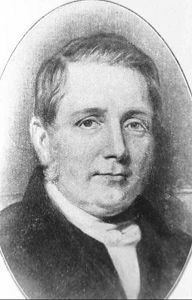 During this time old Thomas Fernley had withdrawn from the partnership because Martin & John Fernley had taken into partnership, James, the third brother. James was much inclined to speculate and in the end this partnership between Martin and the Fernley’s was entirely dissolved. John Fernley took money as his share; James took the mill in Manchester and Martin took the mills in Bollington. George (Martin’s youngest son) remembered his father coming over to Shrigley to look for a house; he was then a little boy and he drove over to Shrigley with his father. Shrigley is a village not far from Bollington, and Pott Hall was the only house to let there and Martin took it for his residence. But he felt leaving Manchester and his beautiful house there very much; and it seemed to him at first like exile. Martin Swindells dressed in knee-breeches of drab colours and gaiters of the same colour, a black coat and waist-coat and a large black silk tie; a broad brimmed hat and a watch in fob with seals hanging from it. Hannah, his wife, was a beautiful old lady with bright brown eyes; she dressed in a black satin dress with a large white muslin handkerchief folded over her breast, and a large white mob-cap. She was exceedingly religious and always sat in the arm chair on the right hand side of the Pott Hall dining room with her Bible and Hymn book resting in a small bracket beside her. Anne the eldest daughter. She married Joseph Brooke and after living in Manchester for a short time, during which her husband acted as his father in law’s agent, they came to Limefield, a house which old Martin Swindells built for them on a hill and near to the great Clarence Mill, and Joseph became partner to him. Limefield became the property of Joseph and Anne Brooke. Judith who died young, when her parents lived in Manchester. She was very beautiful and had many suitors, amongst them one of the M.P.s for Manchester. Martin [II] who married a sister of Joseph Brooke, named Frances. After the death of old Martin Swindells, this son and J. Brooke carried on the business as partners together. But they gave up all the mills except the Clarence. Hannah who was very beautiful, married the Rev. James Sumners [sic] forty years incumbent of Shrigley and whose house was the parsonage there. The Rev. James Sumners’s [sic] mother was a Miss Cawley. George who succeeded to Pott Hall after the death of his father. He became the owner of Adelphi Mill, which was built for them some time after the death of his father. He married Miss Elizabeth Cawley. Mary who [missing word? ‘married’] the Rev. John Davies, Rector of Walesoken. [Walkden? * The four Martin Swindells involved in cotton milling in Bollington are annotated I to IV to clarify who is being discussed. The oldest Martin is not annotated because he was not involved in cotton milling. These annotations were originally set by the Wilmslow Historical Society in their book Cotton Town, Bollington & the Swindells family in the 19th Century. The picture of Martin Swindells I was not in the original document. ** Emma F Brooke was a writer, socialist promoter and social activist, Fabian, and feminist.